Thanks South City Bulletin magazine for publishing my story ‘Memoir life writing to assist healing’. 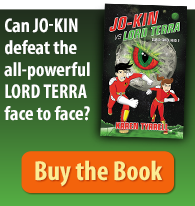 Ever wanted to write the story of your life? Your own personal story to inspire the world? Join me, award winning author, teacher Karen Tyrrell as I share my steps in writing and publishing a memoir. I will guide you on how to write the story of your life, to hook in your reader. I proudly shared my victory over parent-teacher bullying, bipolar disorder and PTSD with a mental health forum, to help those struggling with mental illness. I was totally Exhausted … mentally, emotionally and physically! WHY? 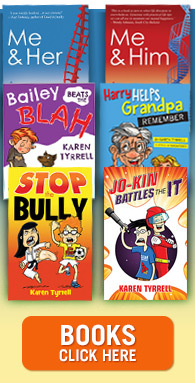 … For a month, I’ve thrown myself into a relentless schedule of events surrounding the launch of my children’s resilience novel STOP the Bully. 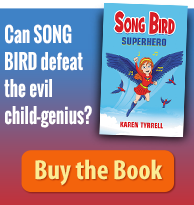 Thanks to Author Branding, you WILL remember my name, Karen Tyrrell. YAY! I’m presenting ‘Remember My Name: Author Branding’ seminar for Queensland Writers Centre. I’m sharing all my secrets on how to market yourself as an author and get your name out there via social media. Transmitting LIVE via Satellite across the Globe… I, Karen Tyrrell will Reveal ALL my Recovery and Resilience secrets, broadcasting LIVE across the globe. Producer of TOP international radio show requested an interview on my RECOVERY from Mental Illness. Relationship expert, Matt Townsend will interview me LIVE on how my journey back from INSANITY. Thanks for leaving your brilliant comments on ME & HIM: A Guide to Recovery giveaway competition. The standard was so HIGH making my decision difficult. DRUMROLL… The winners are… Signed ME & HIM: A Guide to Recovery goes to Sam Eeles And the eBook ME & HIM goes to Ree Johnson. Today Tonight interviewed me as a bullied Australian teacher now mental health advocate for their TV investigation Violence in Schools. Today Tonight filmed me flicking through my tell-all story Me and Her: A Memoir of Madness, how I was catapulted from abused teacher into the psychiatric system suffering night terrors, mania and PTSD.